BCC, abbreviated for Blind Carbon Copy is a field in an email that allows adding message recipients but hides it from other recipients. The addresses in To: and CC: field can be added to the email, but they cannot see addresses that have been added to the BCC: field. What is the Use of BCC Field? You are sending a message from your company's end and want to hide the list of clients or members confidential. The message has to be sent to external recipients and you want to hide email addresses employees under private network. Avoid Misuse of Mail Address: Most of the time when messages are forwarded, email addresses of the previous recipients are not removed. Due to this, when the message is sent to other recipients, it may contain the addresses of other recipients that might give spammers a chance to collect and use those addresses. 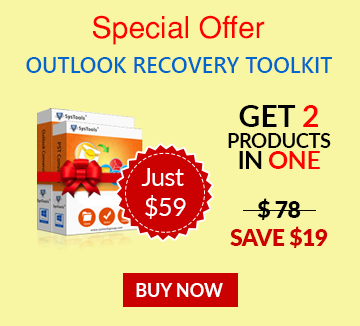 How to Enable BCC in MS Outlook? 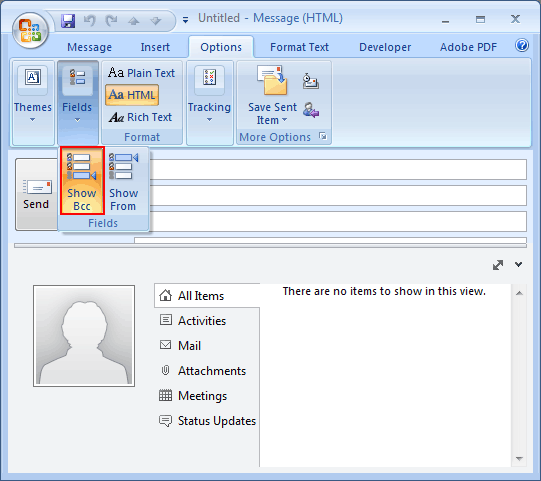 By default, when a new message is composed in Outlook, the BCC field is missing. Thus, to add a BCC address in the mail, it has to be manually activated. The good part is, once it is added to the mail, it will remain as it is and will be removed only when disabled. 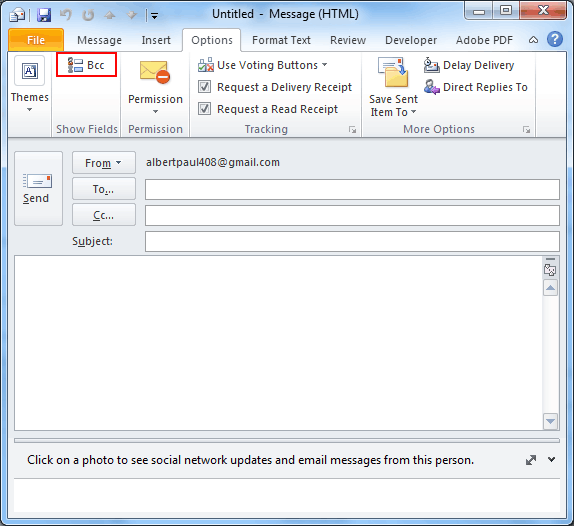 Create a new message in Outlook 2007/2010/2013/2016 and click on "Options". Select "Show BCC" and the field will get added to the message. 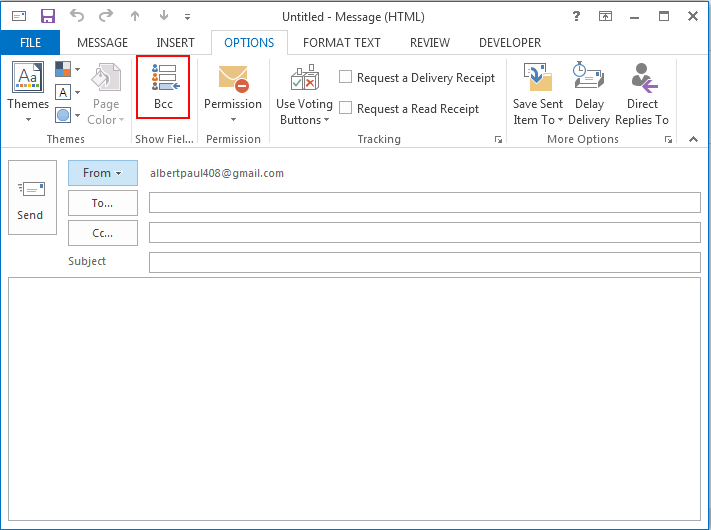 Adding BCC field in an email is simple and if in case it has to be removed from message, the same process has to be followed. Again, click on the activated "BCC" button and it will be deactivated.